Using a Jetyak, an Autonomous Surface Vehicle (ASV) equipped with an engine and scientific instruments, researchers studied the behavior of zooplankton in an unpolluted light environment and compared that to how zooplankton behaved in a light-polluted environment close to their traditional research vessels. They observed that despite the fact that the sun never rose above the horizon, zooplankton responded to small changes in natural light in areas without light pollution. However, zooplankton display a strong light-escape response. The scientists found that the artificial light emitted from traditional sampling platforms interferes with the natural rhythms of zooplankton to a depth of 100 meters. This study emphasizes the need for changes to the lighting used on traditional sampling platforms in aquatic environments in order to collect accurate data. This study has implications far beyond the design of research vessels. The researchers are concerned that sea ice loss (caused by global warming) is leading to more human activity in the Arctic by creating openings for new shipping routes and oil and gas exploration. The artificial lights that will come with these human activities will undoubtedly affect natural rhythms and biological processes of zooplankton. Zooplankton are small organisms that, together with phytoplankton, form a large part of the base of the food chain in the oceans. 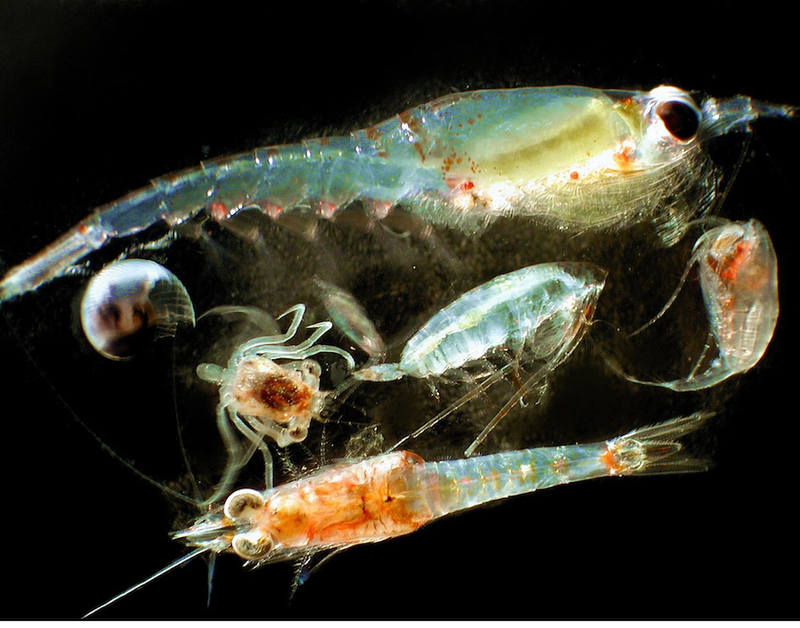 And as the study notes, zooplankton play an important role in the sequestration of carbon dioxide, carrying millions of tons of carbon vertically in the ocean during their daily cyclical movements. It is clear that artificial light affects zooplankton, which ripples through the ecosystems of the ocean. This then affects the atmosphere above the surface of the water. In order to further understand these relationships, research vessels need to be designed with the light sensitivity of zooplankton in mind. Ludvigsen, M., Berge, J., Geoffroy, M., Cohen, J. H., Pedro, R., Nornes, S. M., … & Johnsen, G. (2018). Use of an Autonomous Surface Vehicle reveals small-scale diel vertical migrations of zooplankton and susceptibility to light pollution under low solar irradiance. Science advances, 4(1), eaap9887.